Towards the end of 2002, Melbourne Hemp Founder Rob Pascall (the ugly mug in the photo on this page) started a small casual stall at South Melbourne Market, Victoria, Australia selling Men’s and Women’s Hemp clothing. 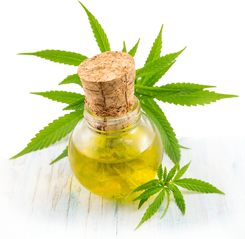 With in 6 months I moved in to a permanent shop at the market and gradually extended the range of products to Hemp Skin and Hair products and then Hemp Protein and Hemp Seed Oil, (Sometimes referred to as Hemp Oil). In Recent Years Hemp Seeds have become available in Australia and I have sold these as well. Towards the end of 2009, I opened a second shop in Peel St, West Melbourne opposite the Queen Victoria Market and a year later moved into Shop 9 in F Shed across the road in the Q V Market which is still trading up to today along with the South Melbourne Shop. I also have run a stall for about 11 years at the incredibly busy Queen Victoria Night Market which operates most Wednesday Nights during each Summer. I have run basic Website for some years but upgraded to a online shop early 2012. Now in April 2014 I have upgraded to hopefully a somewhat Improved Site, that will enable me to extend the range of products that I sell online into the future.